These are some of the things you'll find within The Danger Box, the new mystery from bestselling author Blue Balliett. Picked this one up at ALA last year on the recommendations of some folks who were waiting in line near me. There was a stack of ARCs and they started freaking out. I had never heard of Blue Balliet or the book, so I didn't know what the fuss was about. (Still haven't heard of her outside of that line, so.... apparently she's a best seller though. Needless to say, I had all intentions of reading it due to the infectious enthusiasm, but it wasn't a huge priority over the books I got that I was super excited about. So it's just been sitting on my shelves, waiting. Anyone read this (or get all fussy over Blue?) Should I bump this one up or continue to let it slide? 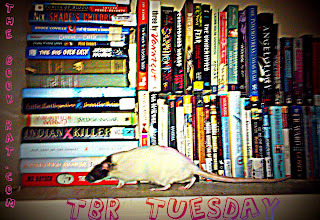 What's hiding in your TBR stack? Leave a comment or a link! I haven't heard of this one either...looks interesting, though. I'm so lame. 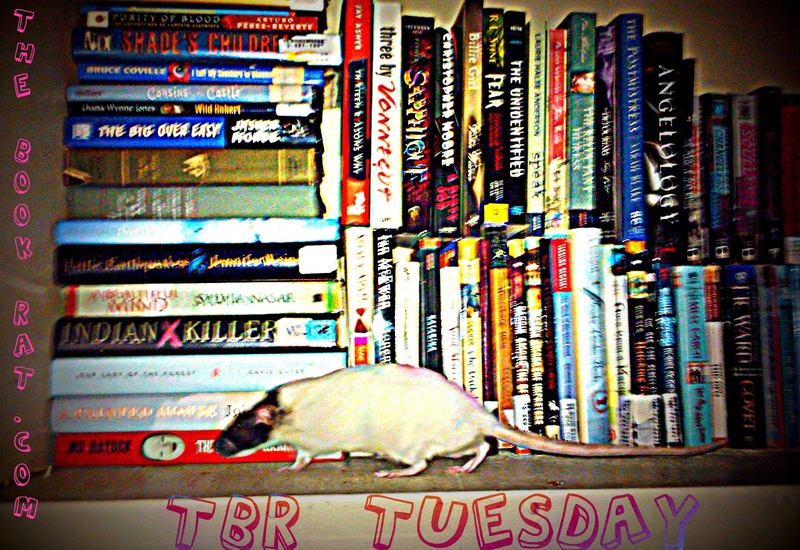 At first glance I thought the picture of all the books was an actual picture of your TBR pile. I was like, "Holy crap, that's a big rat in that picture." Then I saw the writing. It was one of my special moments. 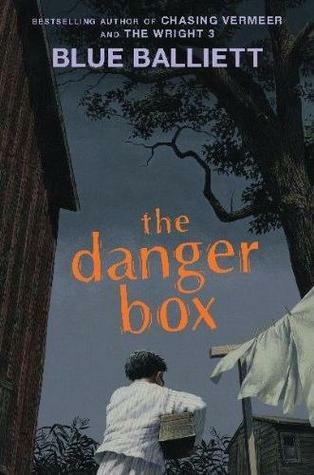 The Danger Box is new to me. Looks like it has potential. Isn't this the same author as the Chasing Vermeer series? Those were pretty cool books. Growing up, my friend had a pet skunk. It was awesome. It was just like a cat, all cuddly and sweet. (I'm more of a dog person though.) Sometimes the "different" animals do make the best pets. I see at the top of the book that she wrote Chasing Vermeer which I forced myself to read. I guess I wasn't smart enough to figure out the little puzzles in the book, but I was smart enough to know I wasn't buying book 2 when my little genius wouldn't even look at it! So I'll be curious to see if this one left the puzzles behind and is totally different. Vermeer was about-you guessed it- a stolen Vermeer. It's and MG book. Check out the author's website at blueballiettbooks.com. Lots of background information on the real world places that are the settings for her books.